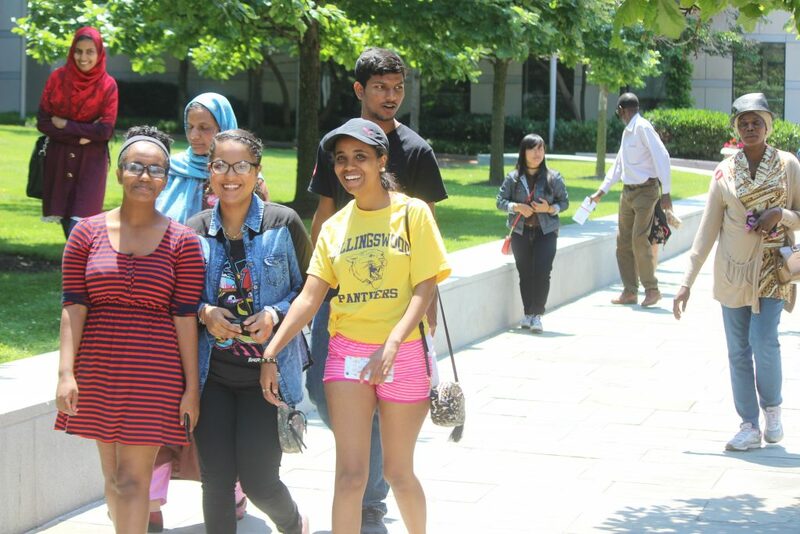 The sweltering heat and early morning hours did not put a damper on the excitement of the 33 refugee clients who gathered in the parking lot of the Camden office of Catholic Charities on Saturday, June 10. 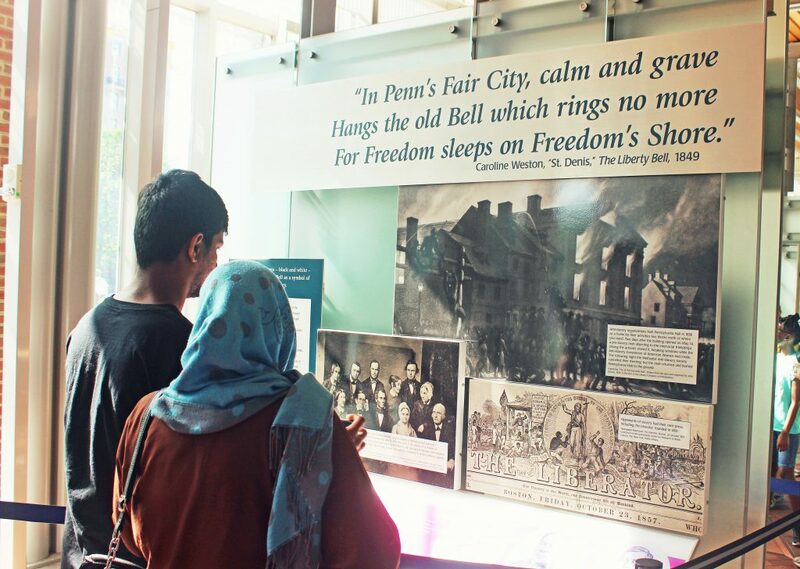 Children, teens, and several adults from Myanmar, Syria, Uganda, Pakistan, Eritrea, and Afghanistan eagerly formed lines behind the three vans which would be taking them into our nation’s first capital – the historic city of Philadelphia. 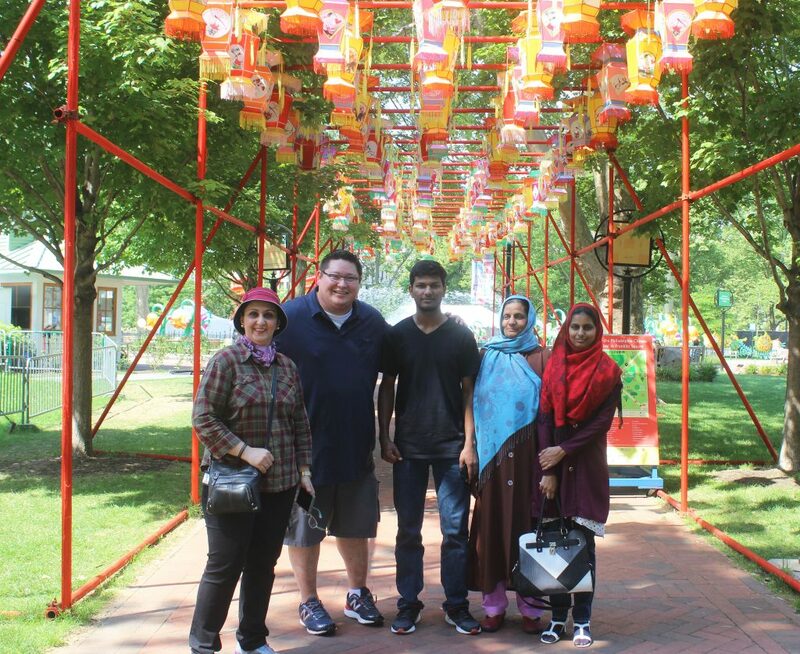 Patrick Barry, the Refugee Resettlement Program Director, enthusiastically greeted the group and explained the agenda for the day: Liberty Bell, Constitution Center, Franklin Square, and then “a surprise” at the end – generating even more excitement. Ten youngsters quickly seated themselves in one of the vans. Although shy at first, they were chattering away in English as soon as the van took off. 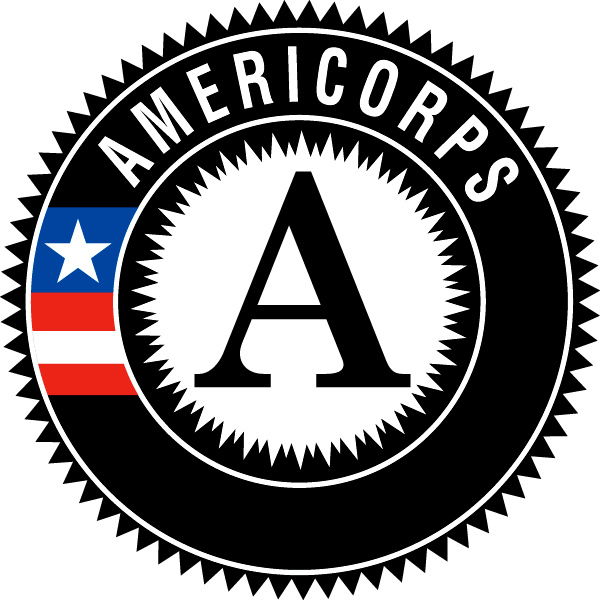 Jeffrey Kates, a staff member for the Veterans’ Assistance Program, drove one of the vans. “What music should we listen to on the way? !” he asked. One Burmese boy in the back of the van cried, “please play country music!”, sparking a heated outcry among the young passengers. His request was met with many laughs and protests, and Katy Perry was ultimately chosen for the first portion of the ride. A moment of silence fell among the passengers as the van made its way across the Benjamin Franklin Bridge. The early morning light streamed through the towers of the bridge, revealing the entirety of the Philadelphia skyline, set against a backdrop of blue. Once all eyes fell upon the sight, out came the smartphones, as many started taking pictures and videos of the majestic view. Others simply stared, wide-eyed with their faces pressed against the window. The silence was soon broken when a girl shouted and pointed, “William Penn!” as heads turned towards the statue looming ahead. While the youngsters playfully shoved each other in line, the mood changed once the refugees passed through security. 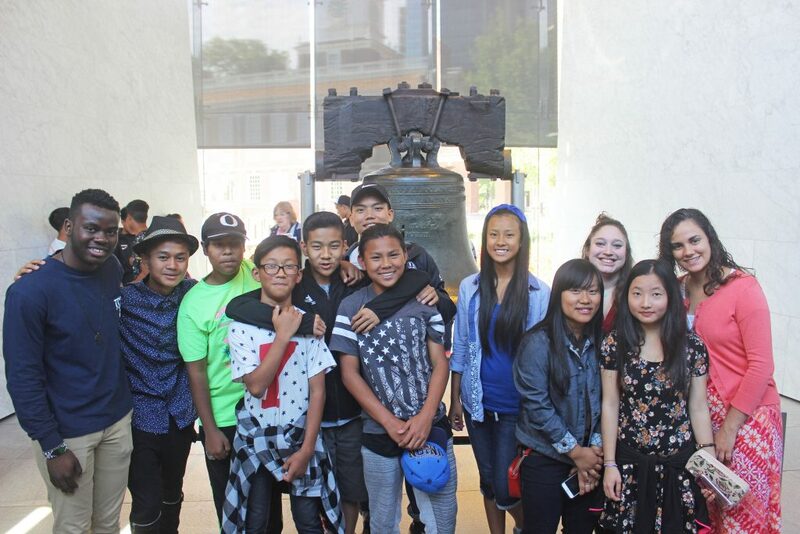 All of them had learned English to near-proficiency, but practiced reading the various displays and historical facts about the Liberty Bell aloud to one another. Two brothers argued over the correct pronunciation of “emancipation”. 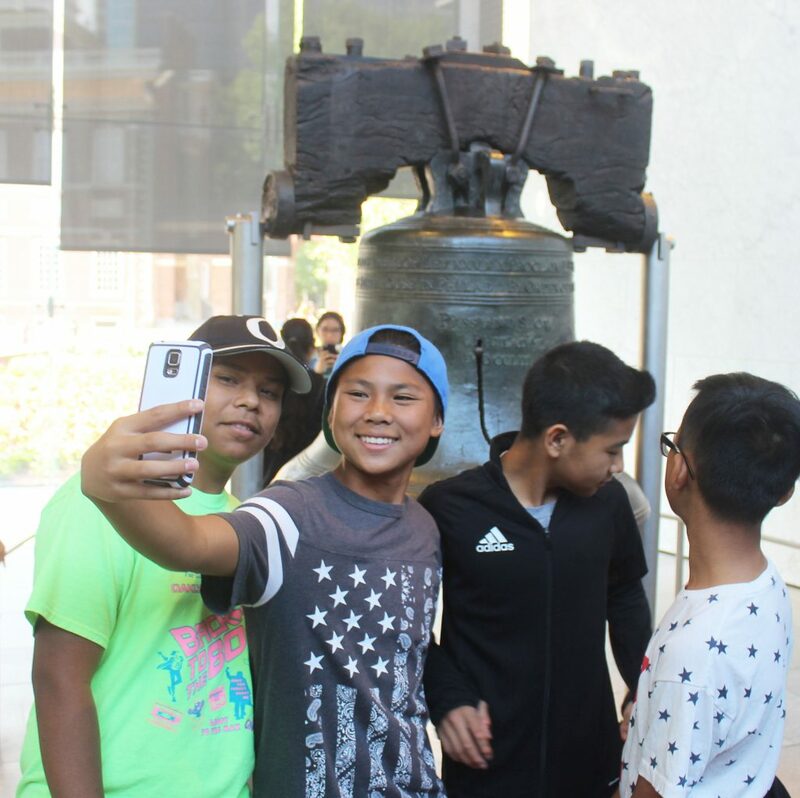 Others dashed towards the Liberty Bell itself, excitedly bouncing on their toes while waiting in line for their turn to get a picture in front of it. 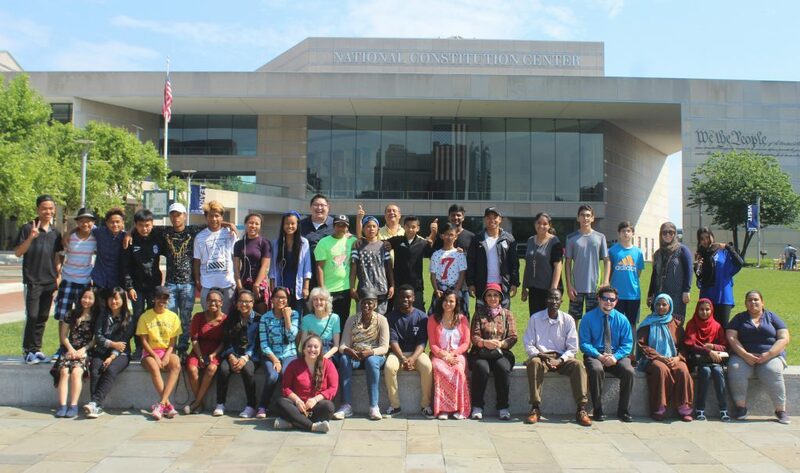 After exploring Franklin Park, which was decorated for the Chinese Lantern Festival with handcrafted lanterns, a 200-foot Chinese dragon, and other designs of fish, lions, pandas, and mythical creatures, the group was relieved to make its way into the air-conditioned Constitution Center, where they were able to learn about the greatest formal vision of human freedom in history, the United States Constitution. 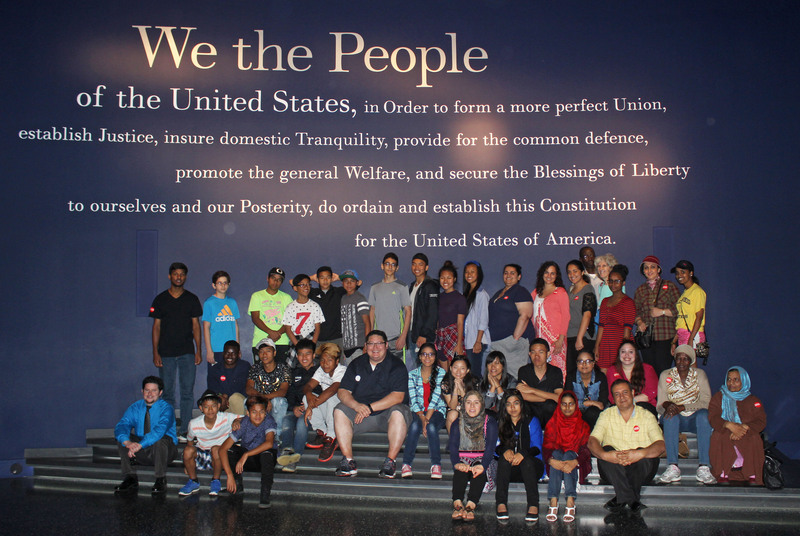 There, they joined other groups and field trip classes, and watched a multimedia theatrical production, “Freedom Rising”, about the founding and history, along with all the highs and the lows, of our great nation. 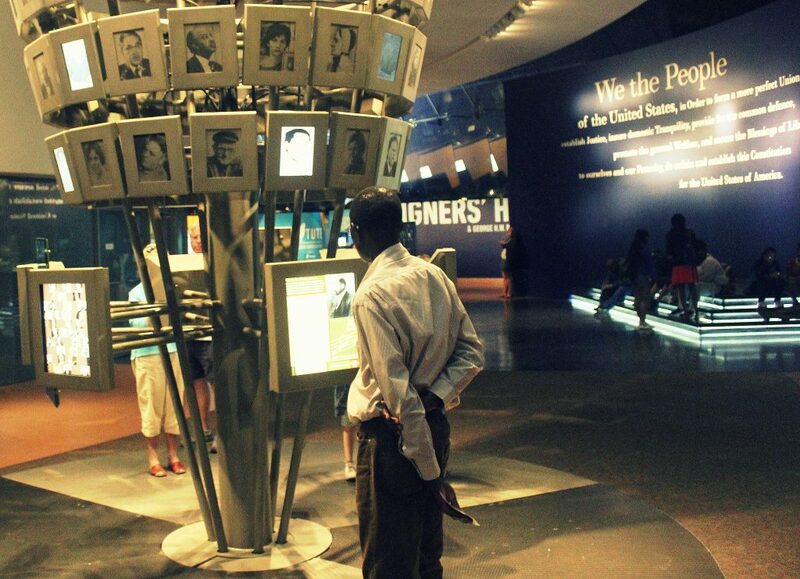 Immersed in the extraordinary story of “We the People”, they listened and watched intently, and then explored a labyrinth of interactive exhibits and displays. 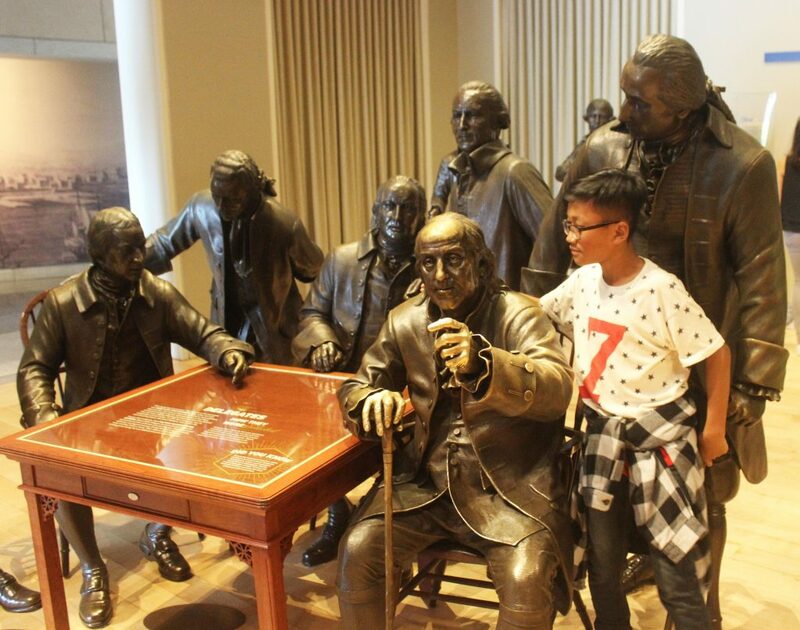 They then meandered towards the iconic “Signers’ Hall”, which featured 42 life-size, bronze statues of the Founding Fathers, with whom the refugees, young and old, were thrilled to pose with for pictures. Next came the final event of the day – the much-anticipated “surprise” – which turned out to be a trip to Dave and Busters. 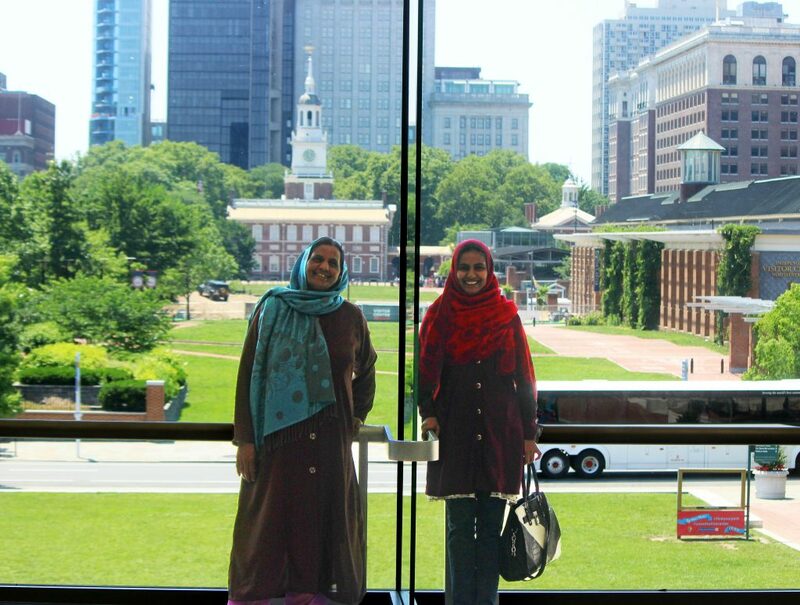 The group ate lunch overlooking a perfect view of the Delaware River and the two cities facing each other on opposite shores. 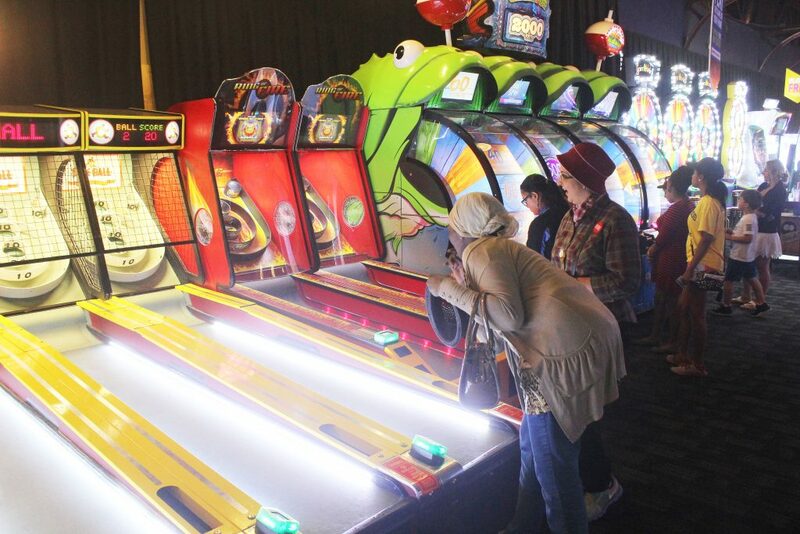 When Patrick Barry announced that the venue also included an arcade for both teens and adults, the excitement was uncontainable. After receiving their game cards from Barry, the younger ones darted towards the arcade. Some had never been to one before, but they quickly picked up on the huge variety of games after catching a glimpse of the prize room. One hour flew by, and the refugee staff helped them exchange their tickets for trinkets, toys, and small electronics. The day ended around 4 PM, and a very happy group of refugees packed back into the vans.